Kelly's Korner: Can we pray for you? This is to most people the "most wonderful time of the year!" From now until January - it is a fun, festive time. Christmas seems to seep in earlier and earlier every year. My social media feeds are full of people who already have all of their decorations up and are listening to Christmas music. But for a lot of people - this time of year is HARD, painful, unbearable, and lonely. Maybe you have lost a child. Or a spouse. Or a parent. Maybe you have lost a job. Or are going through a terrible illness. Maybe you are in a new city and feel isolated. Or you are lonely and this season makes you feel more alone. I wonder if we as a community today could just pray for you? Would you be willing to leave a comment - just leave an initial or first name or a made up name and let us know what you are struggling with? I think there are hundreds here who would pray for you. Would you mind picking at least one comment to pray for? I had this on my heart to do today and at some point I also had a couple of books I wanted to give away. I feel like I would rather give these books to the people who need them. 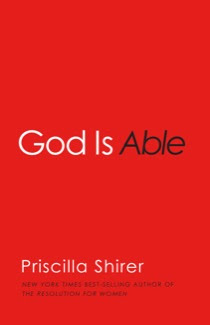 This is the new book by Priscilla Shirer, who is one of my absolute favorite Bible teachers. I think this book will be the source of SO much encouragement. 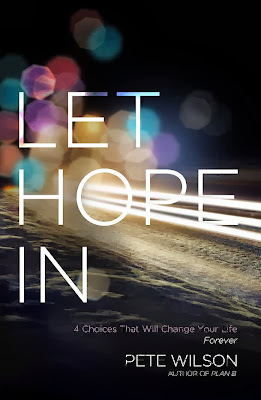 And Pete Wilson is a pastor in Nashville and he has written several great books - but this book is going to walk you through so many places in the Bible where things seemed hopeless and yet God was always there and how God can take your past and change your future by giving you hope. Anyone looking for hope - this is a book you need.